Politicians say that building a wall to secure the southern border of the U.S. would be “immoral.” So it’s a sin? God is against it? He wouldn’t have anything to do with a nation’s protecting its citizens with a physical barrier? Well, what about the Old Testament story of Nehemiah? This Jewish man was the royal cupbearer to the Persian king Artaxerxes I. Nehemiah lived hundreds of miles from the land of Judah, but his love for his homeland ran deep. That’s why the bad news from Jerusalem broke his heart. Messengers came to the Persian capital Susa and reported that “the wall of Jerusalem is broken down, and its gates are destroyed by fire” (Neh. 1:3). Nehemiah was so distressed that he sat down and wept. He fasted and prayed. He prayed for four months. He asked God to bless the request that he planned to make of the king. 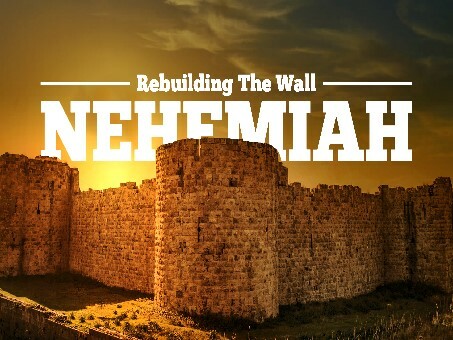 When the time was right, Nehemiah asked Artaxerxes for permission to leave his official post, go to Judah, and supervise the reconstruction of the broken wall. He even asked the king to pay for the project from the royal treasury. Nehemiah received the king’s blessing – but he also received the blessing of God. The book of Nehemiah makes this unmistakably clear. After arriving in Jerusalem, Nehemiah told the Jewish leaders “of the hand of my God that had been upon me for good” (Neh. 2:18). And when the work was finished in an exceptionally short time, 52 days, even the enemies of the Jewish people “perceived that this work had been accomplished with the help of our God” (6:16). If politicians want to argue that the government can’t afford to fund a border wall, fine. The Bible says absolutely nothing about that. But building a wall is immoral? Says who?